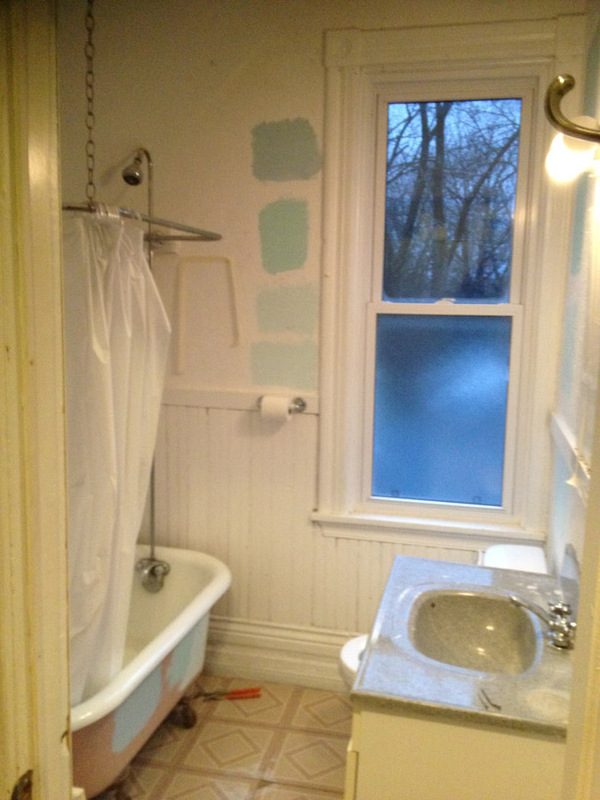 Edward Street was a century home where the customers wanted to keep the original feel of the bathroom and decided to go with a 1920s themed design. 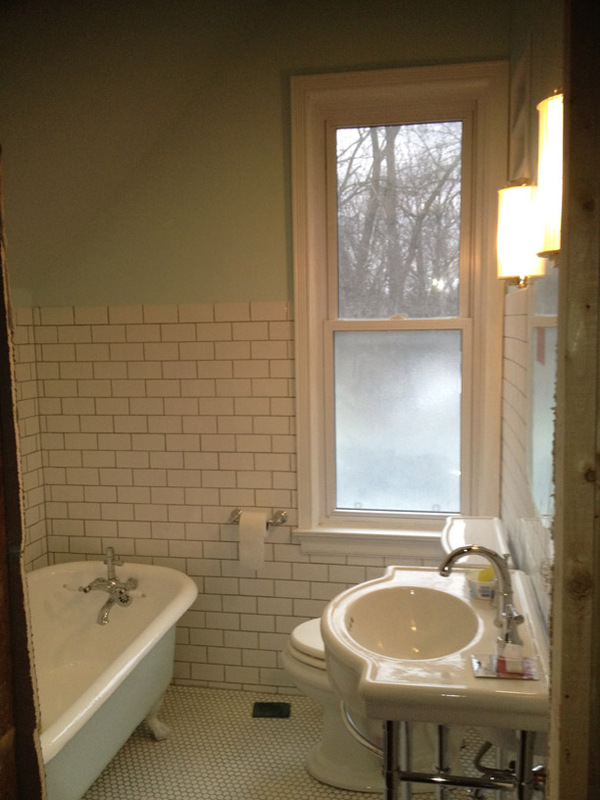 This incorporated subway tile, 1-inch hex floor tile, a restored roll-top tub (claw foot), retro toilet and industrial-chic sink. 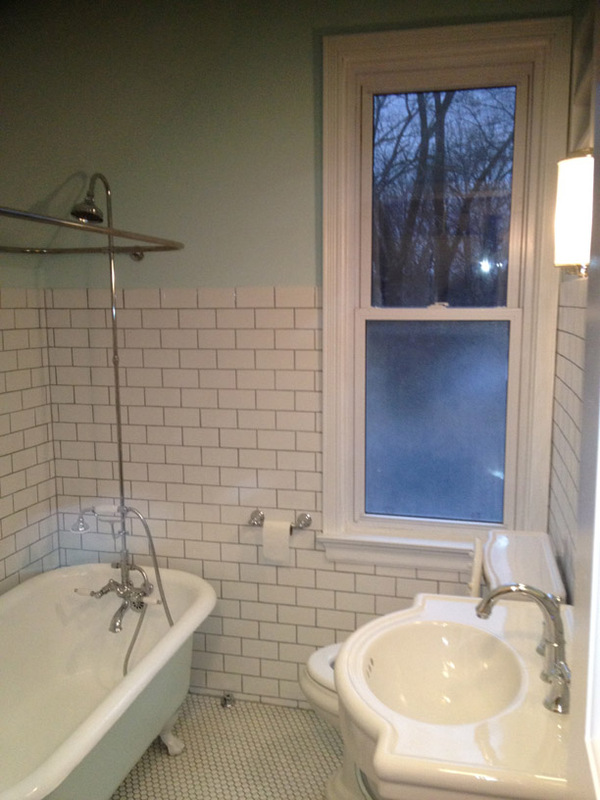 Of course, some modern day amenities were also added, including a heated floor. 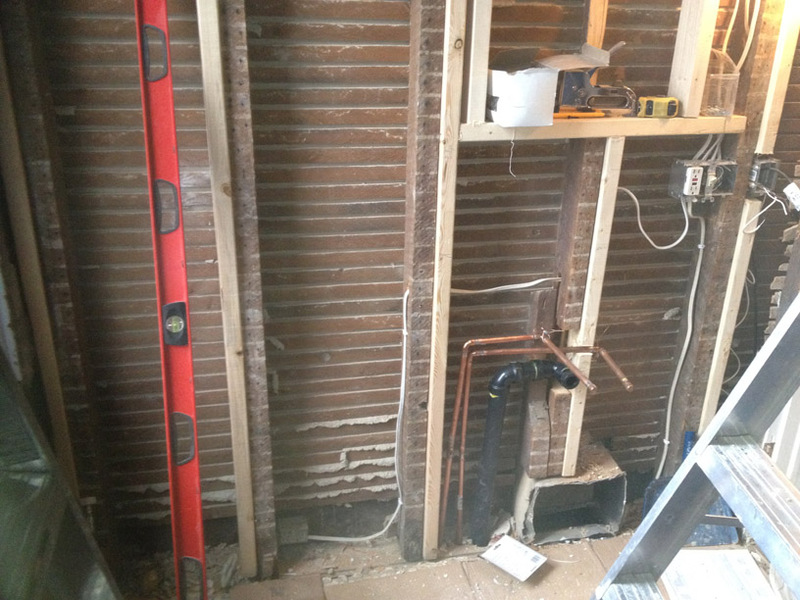 Some of the challenges were based on what is typical after a house has been standing for a hundred years: nothing is left plumb or level. 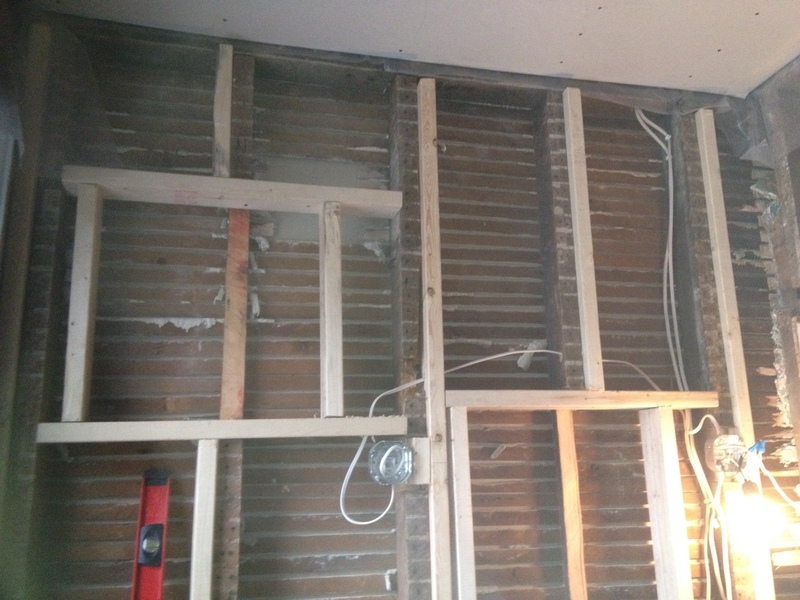 In this Edward Street home, the walls were 3-inches out of plumb from ceiling to floor. 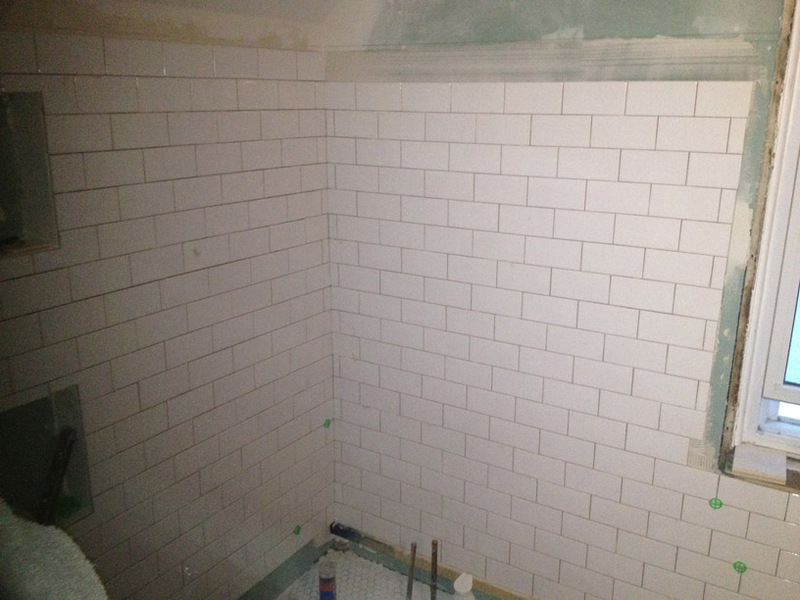 Subway tile would’ve highlighted this problem so we added new framing members to hang the drywall. 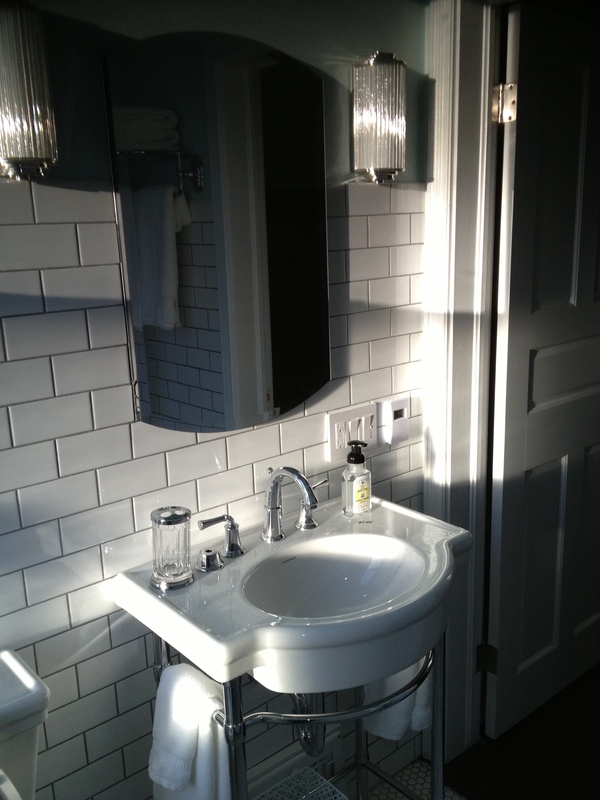 Original layout. End of life fixtures. 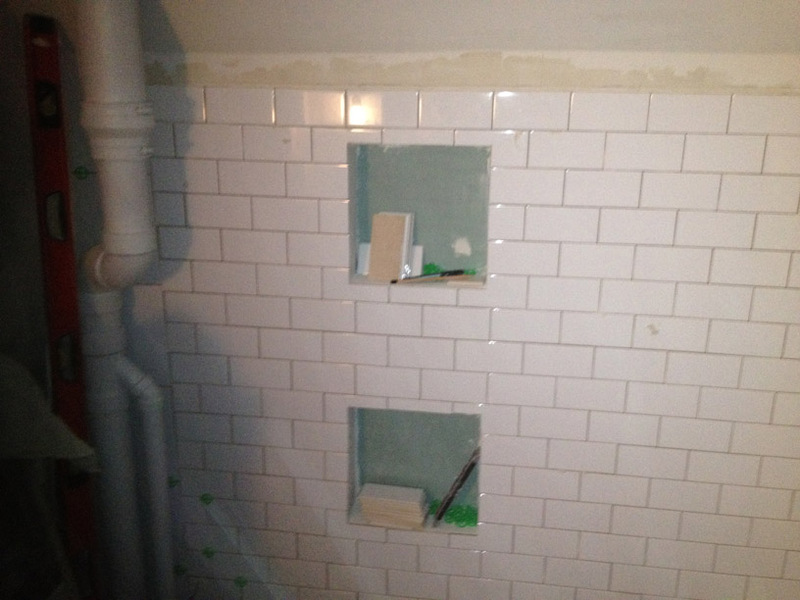 You can see a cavity on the right – which would end up being a custom-built open shelf. 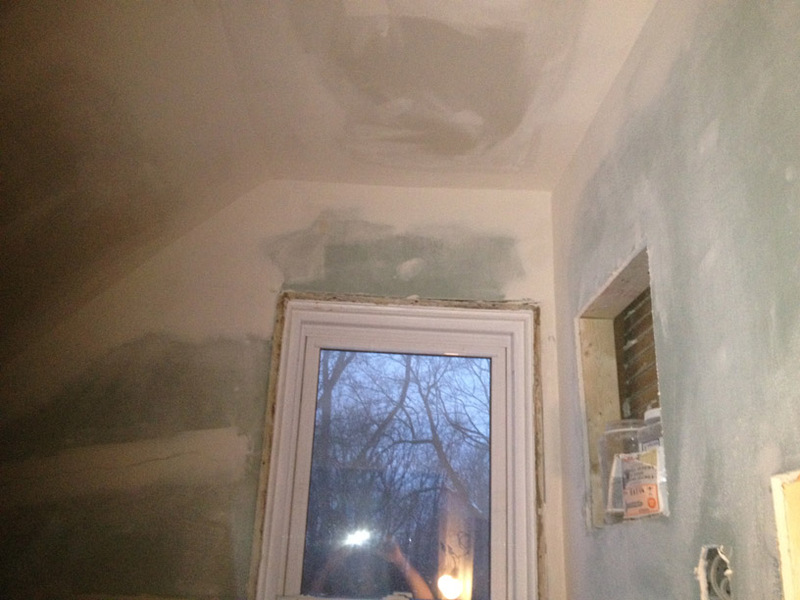 Two nooks built into wall to increase storage capacity. 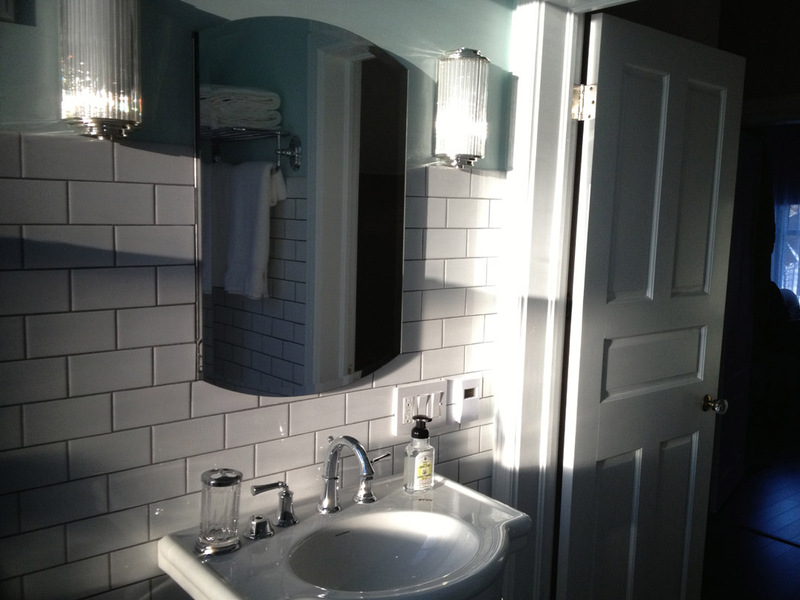 Subway installation – see how everything is nice and plumb and straight now. Reconditioned (and slightly larger) roll-top tub, new hardware. 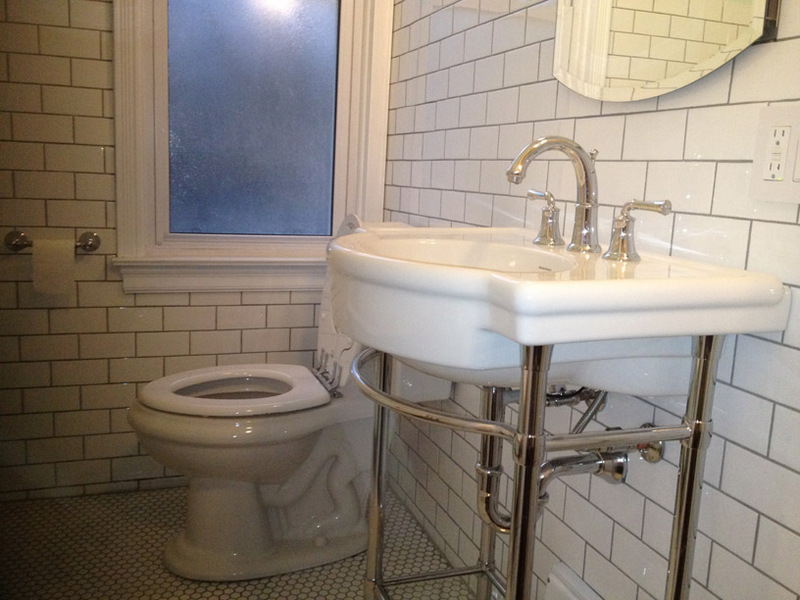 Retro American Standard toilet and sink.